Yamamoto, who turns 20 on Sept. 29, impressed in training camp last season and stayed with the Oilers for nine games before returning to the Western Hockey League. Yamamoto (5-foot-8, 154 pounds) is expected to push for a roster spot and could begin the season in a top-six role alongside Connor McDavid or Leon Draisaitl. "He's good at complementing good players and he's very smart and he's good with the puck," director of player personnel Bob Green said. "He can make plays and he gets himself in positions to get the puck." The Oilers believe the 21-year-old can develop into the offensive, right-shot defenseman they have sought for many seasons. Bear (5-11, 209) had a strong first professional season in Bakersfield before being called up late in 2017-18 to play in Edmonton. He had four points (one goal, three assists) and a minus-11 rating in 18 games with the Oilers. Bear could challenge for a roster spot this season. 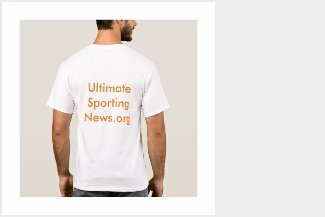 The decision may come down to whether the Oilers think Bear would be better served in a top-pair role in the American Hockey League or as a seventh defenseman in the NHL. The 18-year-old was the top offensive defenseman in the Ontario Hockey League last season and finished tied for seventh in scoring. He was the first defenseman to be in the top 10 in OHL scoring since Ryan Ellis (Nashville Predators) tied for fourth with 101 points (24 goals, 77 points) for Windsor in 2010-11. The Oilers believe Bouchard (6-2, 193) can develop into a high-end offensive defenseman in the NHL, but they are not expected to rush him. He will get a long look at training camp to see how his offensive skills translate in the NHL but likely will return for a fourth season with London. "He has to make the team first, but he's the kind of player that we were looking for and is hard to find in a trade," general manager Peter Chiarelli said. "You have to draft them. That's why we drafted him." 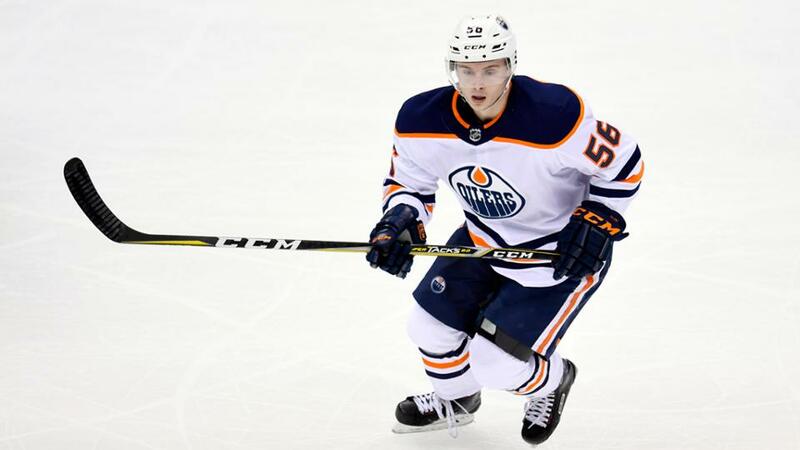 A hip and sports hernia injury hampered Benson's progress two seasons ago, but the Oilers think the 20-year-old Edmonton native can develop into a top-six forward. Last season, Benson (5-11, 202) was healthy for the first time since 2014-15 and had a strong showing in the WHL before beginning his professional career with five games for Bakersfield, where he likely will start this season. He could be called up if the Oilers struggle offensively or run into injury problems. Edmonton's best goaltending prospect was acquired by Swift Current in a trade from Lethbridge last season and helped it win the WHL championship. Skinner, 19, will play in Bakersfield, where he is expected to share the net with veteran Al Montoya. The Oilers can afford to be patient with Skinner because Cam Talbot is their No. 1 goaltender for potentially the next few seasons. 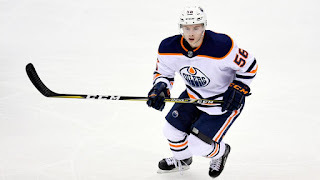 Skinner (6-3, 202) will be given every opportunity to develop in the AHL; the Oilers hope he will be ready to challenge for a backup role in the next two to three seasons.